So simple, it's almost not a recipe. 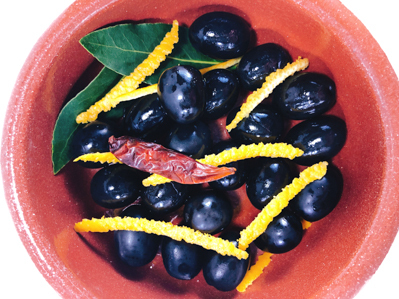 As you zest the orange, the oil from the orange mists over the olives. I always serve olives when making Portuguese or Spanish menus. I think this is a gorgeous and tasty way to serve them.